US chip maker Qualcomm is planning to unveil its next-gen Snapdragon 820 soon and in order to prepare the audience for the big event, the company has been teasing the technological breakthroughs we can expect the chipset to bundle when it goes official. 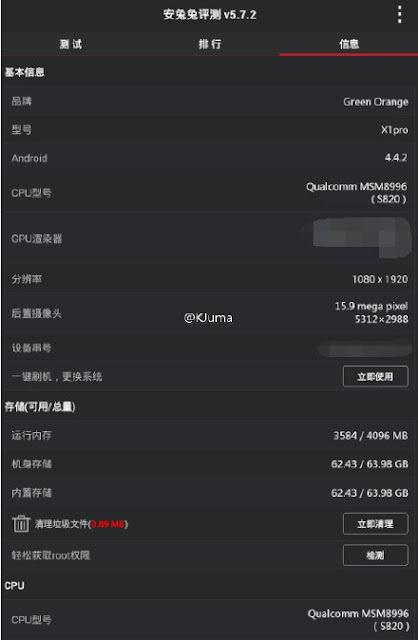 We’ve been hearing that the first smartphone to come equipped with the Snapdragon 820 platform will be the Xiaomi Mi5 Pro, which should make a debut sometime in March 2016. 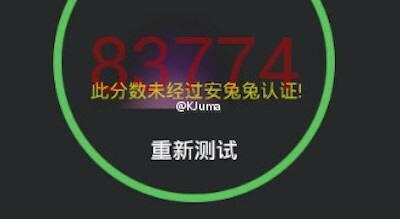 In the meanwhile, a handset going by the name Green Orange X1 Pro has showed up in the AnTuTu benchmarking database with a Snapdragon 820 processor on the inside (as reported by Tech Grapple). The smartphone prototype managed to score a massive 83,774 points in AnTuTu, but don’t get overly excited about the performance of the chipset just yet. We might have discovered the reason why the chip performed so admirably. Unlike most flagships launching today, the Green Orange X1 Pro features a 1080 x 1920 resolution on the display instead of the 1440 x 2560 characteristic of most flagships nowadays. Other specifications of the phone include 4GB of RAM, 64GB of native storage, a 16MP rear camera, plus Android 4.4.2 pre-installed. With the Snapdragon 820, Qualcomm hopes to erase the bad memories associated with the Snapdragon 810, which was plagued by overheating issues ever since its inception. Unlike the Snapdragon 810, the new chipset relies on the company’s own custom cores dubbed Kyro, so the two platforms are quite different at heart. 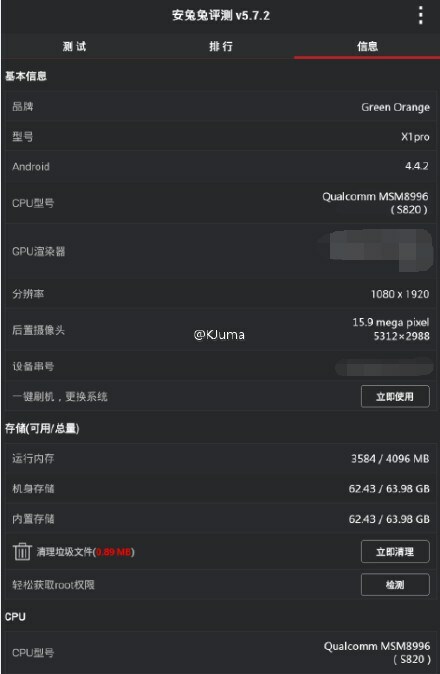 When it launches, the Snapdragon 820 will have to face avid competition from the MediaTek Helio X20, the world’s first deca-core chipset which is already poised to make it into several devices, including the HTC One A9 or the Zopo phablet that leaked a few days ago. Qualcomm’s upcoming Snapdragon 820 is built using Samsung’s 14nm FinFET process and can handle speeds of up to 2.2GHz. The chip maker has said that the new CPU will offer twice the performance and power efficiency found in the Snapdragon 810 chip and hopefully no overheating issues to complain about. The US chip giant is also trying to get back into the graces of Samsung, which is currently avidly testing the chipset to determine whether it is good enough for its next-gen flagship, the Galaxy S7.